STYLED BY KALACK: Giveaway Time! 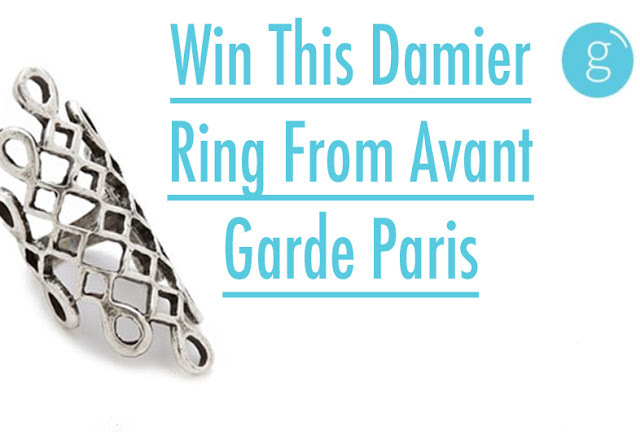 Today, I'm co-hosting a giveaway with Get Gumball as a Gumball Ambassador, and you have to opportunity to win this fabulous silver-plated Damier Ring by Avant Garde Paris! There was a similar one I got in Ghana I wore here. Get Gumball has collaborated with top brands like Michael Kors, Charriol, ASOS, Anthropologie, Tom Ford Beauty, BCBG Maxazria, and many more! So watch out for more weekly giveaways brought to you by Get Gumball and I!